The Knox County Public Schools are joining other districts throughout the nation in setting aside one day of instruction to focus on entrepreneurship. In partnership with The National Consortium for Entrepreneurship Education, students in Knox County will have a chance to explore, plan, and create on Friday, April 20. The Knox County Public Schools hopes educators will use the data to combine existing curriculum and standards into real-life, entrepreneurship lessons. In other words, demonstrate to students that what they are learning in the classroom daily will be used once they graduate. There are no set guidelines from the district other than on April 20 every student should participate in an entrepreneurship type lesson or activity. Many of Knox County’s elementary schools have participated in e-discovery days in the past where students created products that were sold to their peers and visitors to the school. “There is no step-by-step process, no list of easy-to-follow guidelines. Each faculty should examine their own knowledge, interests and available resources and make a plan that works for that individual school. There is no one-size-fits-all solution,” states NCEE. Leaders in Knox County are asking principals, curriculum coaches, and department/grade level leaders to work together to develop a plan that is appropriate for their school. 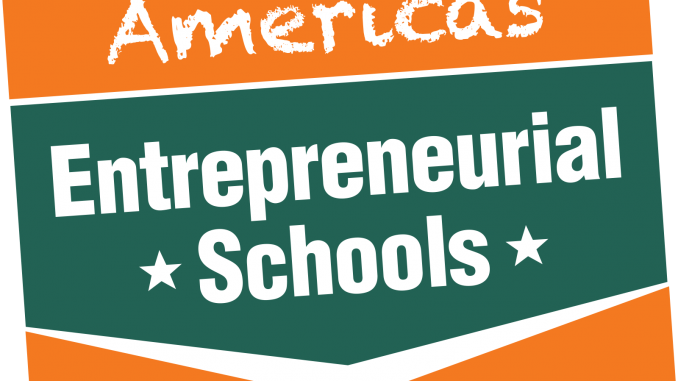 Documentation consisting of photographs and student work will be sent to the district which will provide it to NCEE for the school to be accredited as one of America’s Entrepreneurial Schools.